a community based experience for adults with developmental disabilities that enhances well being and meets the goals of our participants – increased social skills, self esteem, and horticultural skills. The American Horticultural Therapy Association defines horticultural therapy as a process utilizing plants and horticultural activities to improve social, educational, psychological, and physical adjustment of persons, thus improving their body, mind, and spirit. The Chadwick Arboretum & Learning Gardens Horticultural Therapy Garden was created in partnership with the Franklin Garden Club for this purpose. The Franklin Garden Club provides continued support for our Horticultural Therapy Garden through both volunteers and funding. Recently, Franklin Garden Club funded the purchase of small raised planting beds. Later, funds were added to purchase metal picnic tables with cut-out bench areas allowing participants in wheelchairs to access the tables more effectively. Add's Community Connections, a social service organization for adults with physical and developmental disabilities, brings their participants to Chadwick Arboretum & Learning Gardens for gardening experience and volunteer service. Chadwick Arboretum Volunteers donate their time each week (April–September) to lead this program and to work with individuals in a variety of gardening activities. 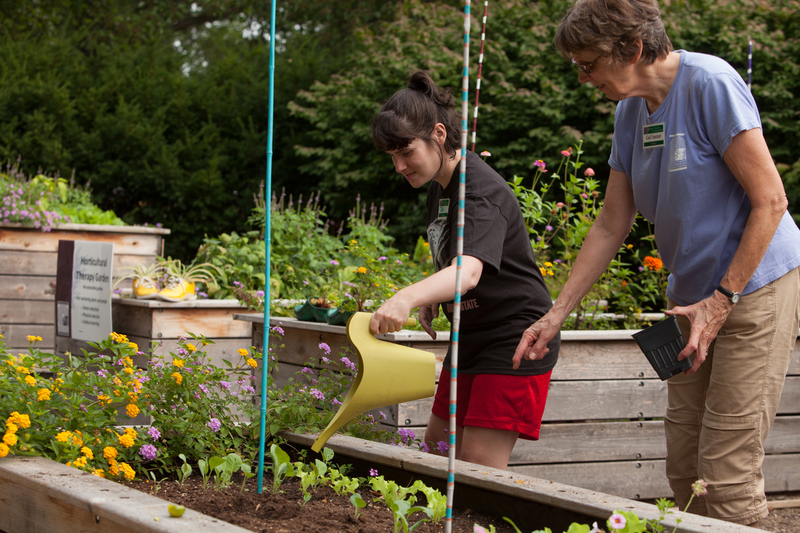 The staff and the volunteers who run the program are mindful of the philosophies and concepts of horticultural therapy when generating seasonal activities and working with participants. Horticultural activities range from potting plants to installing gardens to harvesting the fruits of their labors. Different containers and raised garden beds enable individuals in the Horticultural Therapy program to better interact with the gardens. 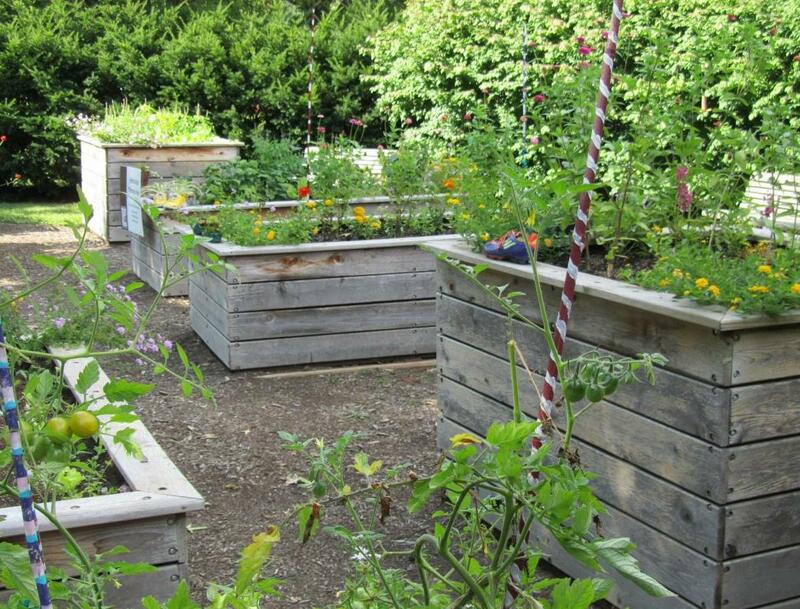 Containers make gardening more accessible to people with disabilities. One of our volunteers, Joe Lansing, designed and built the raised beds in our Horticultural Therapy Garden to make it easier for individuals to enjoy their gardening experience. Soil for these beds was donated by The Scotts Miracle-Gro Company. Materials and funds for the project were provided by the Franklin Garden Club. The Horticultural Therapy program is funded without assistance from the university. 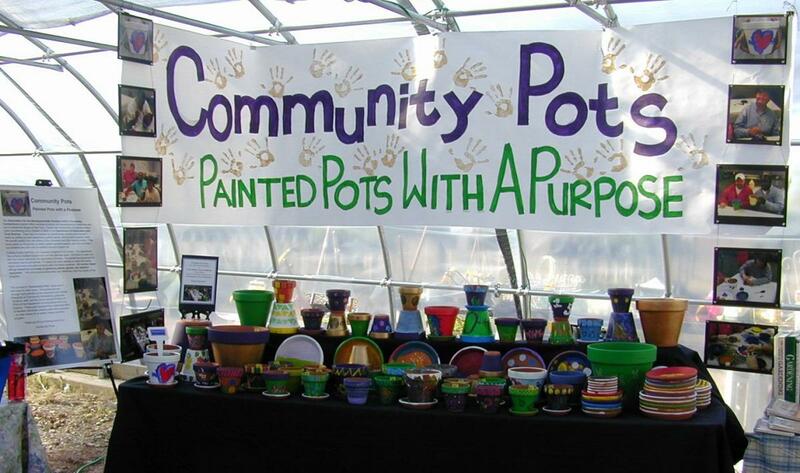 To raise operating funds for the Horticultural Therapy Garden and the program, terracotta pots are hand-painted by participants, staff, volunteers from Chadwick Arboretum & Learning Gardens, and students of Pi Alpha Xi. (Pi Alpha Xi, or PAX, is a national honor society for undergraduate and graduate students in floriculture, ornamental horticulture, and landscape horticulture). These painted pots are sold at the Chadwick Arboretum & Learning Gardens Spring Plant Sale and Auction. 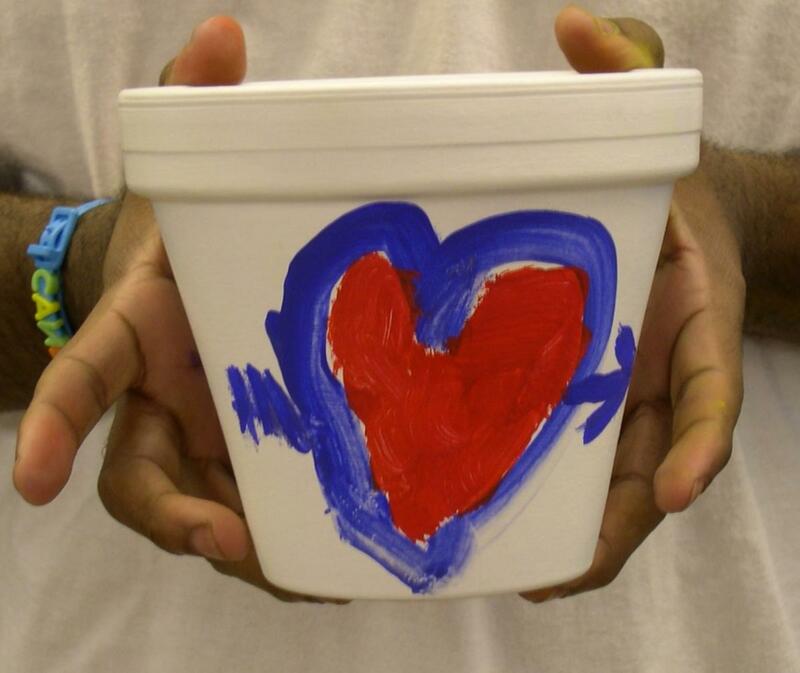 They represent the communal effort of devoted individuals painting pots with a purpose – to sustain an outstanding and unique horticultural therapy program that continually changes lives. In 2012, the Chadwick Arboretum Horticultural Therapy Garden was the recipient of the National Garden Club Helping Hands Community Partnership Award for the Central Atlantic Region. This award recognizes outstanding horticultural therapy projects completed through a partnership. Thanks to financial support from Franklin Garden Club, as well as amazing staff and volunteers from both the garden club and Chadwick Arboretum, our gardens were proud to be the regional first-place winner. The Association for the Developmentally Disabled believes that every person has abilities which have not been fully realized and that every person is a vital part of our community. Add's Community Connections is committed to empowering the individual by providing quality services that are flexible and supportive of one's needs, desires, and dreams. Add's Community Connections strives to provide services that promote individual choice, with a mission to embrace innovation to improve the quality of life, one person at a time. Formed in 1973, the American Horticultural Therapy Association (AHTA) is a non-profit organization that has helped horticultural therapy gain acceptance as a unique and dynamic human service program. AHTA is the only US organization centered on the promotion and development of horticultural therapy programming. Today, the AHTA defines and encourages standards of practice, promotes education, and both encourages and recognizes the use of horticultural therapy in clinical, professional, and research environments. More than 800 individuals and organizations located across the US, Canada, Japan, and beyond are members. The mission of The Ohio State University Nisonger Center is to work with communities to value and support the meaningful participation of people with disabilities of all ages through education, service, and research. The Center provides assistance to people with disabilities, families, service providers, and organizations to promote inclusion in education, health, employment, and community settings.